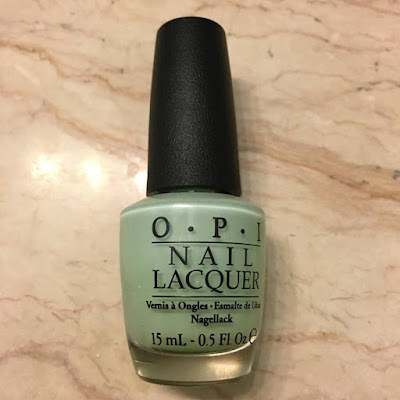 Still one of the all time best names ever, this week I didn't do anything fancy and just opted for a single color on my nails. I'll tell you, I love how light colored nails look but I constantly fail at applying them. Lighter colors are notoriously tricky to apply, it takes a lot of patience and a lot of very thin coats. 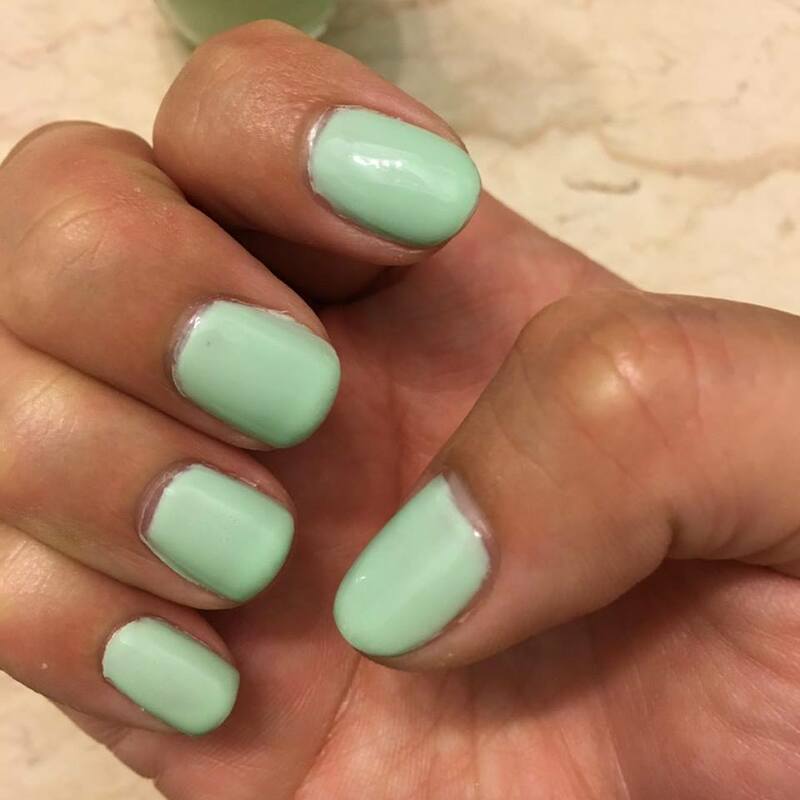 Even so, the polish has a tendency to sort of pool near your cuticle making for a very thick and ugly manicure. I must say this week was a grand success with the color looking pretty even and the overall application being very good as I have some clean lines around the cuticles and virtually got no polish on my fingers! This gorgeous mint green is OPI in Gargantuan Green Grape. What did I tell you? Best name ever! 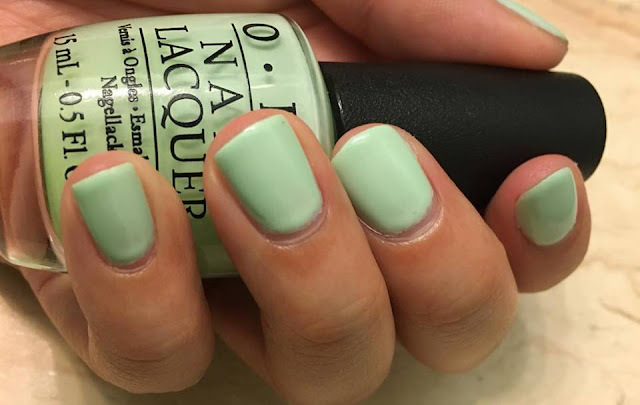 There are definitely variations of this color out there, one that is a brighter green and one that is a cooler blue mint. I have the cooler formula, but it doesn't make it any less beautiful. Believe it or not, every single nail has FOUR coats of polish on it and a few have five. 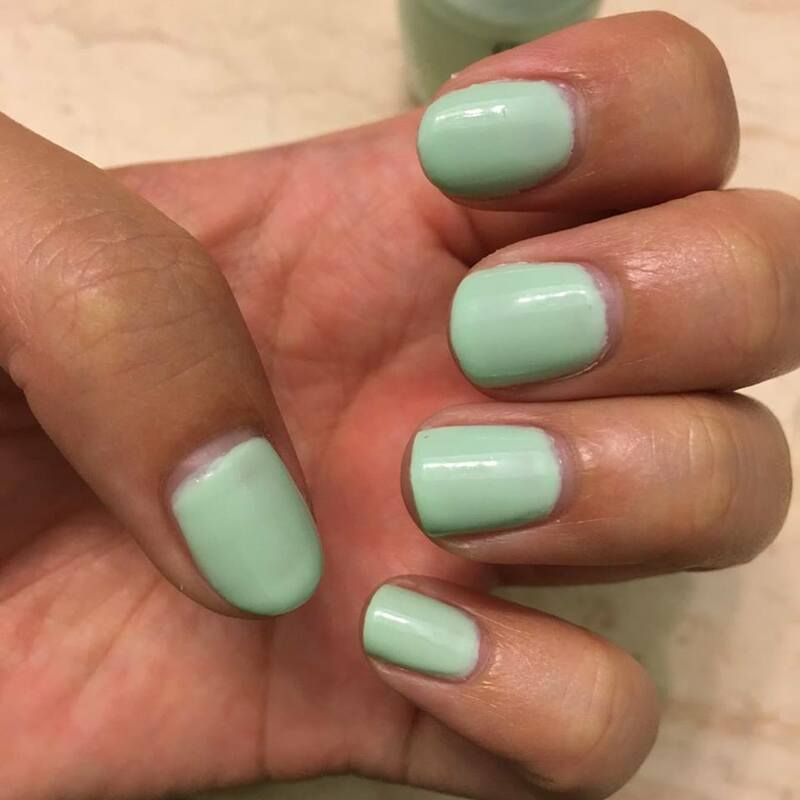 In all honesty all of the nails could have probably done better with an additional coat since there is still some slight streaking but most people don't notice it and having six coats on some fingers would have been just too much. I love this, it's a perfect spring color that compliments the tan that I'm starting to develop from being outside more. It also gives me confidence that I can attempt more light colors and be successful.